Like many of you, I just signed my son up for spring recreational league soccer. After bouncing around between Taekwondo, swimming, YMCA basketball, and soccer, we settled on soccer as our sport to focus on for right now. We love the team aspect of it, I love that the season is short and the coaches in this league are honestly amazing. But oh, man, the soccer snacks… they’re kind of out of control. 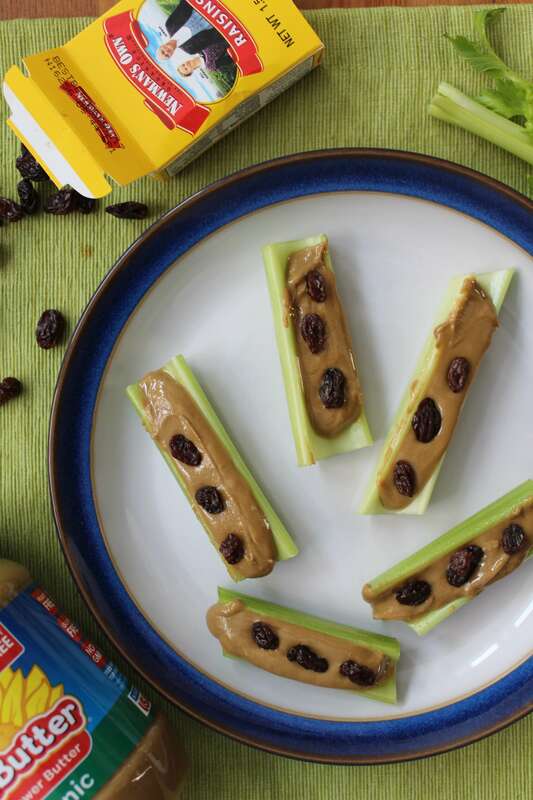 Can we make healthy soccer snacks? 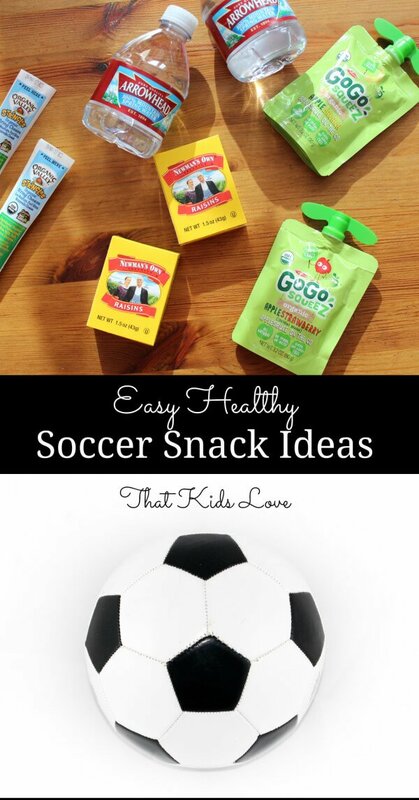 Or maybe even do away with soccer snacks altogether? In this age of Pinterest, Facebook, and Instagram it’s easy to get sucked into thinking that every mom has endless amounts of creativity, energy, and every kid deserves a neon-colored whipped sugar on a regular basis. Childhood is fun! I want to be the cool mom! But this age also is full of food allergies, hyperactivity, sensitivities, and parents feeling conflicted between health and fun. So can we tone it down a bit? I know- they’re your kids. You enjoy doing this kind of stuff. Your kids love it. Fun food the way you express your creativity. And know what? At your child’s birthday party, at your holiday cookie decorating party, and on your Facebook page I’m really excited to see all that creativity- I think you’re amazing. I enjoy doing more elaborate and creative food with my kids too- and if I have a fun food that I’m wanting to serve to friends, I clear it with their parents first if it’s full of sugar or other less-than-ideal ingredients. If they don’t give the okay, I do the project when it’s just us. 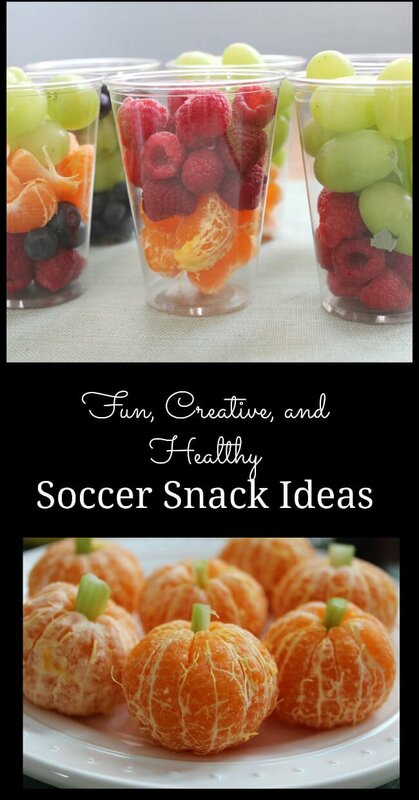 Soccer Snacks do not need to be a big deal. Actually, I know this isn’t a big deal because our local soccer team does a GREAT job only providing healthy snacks- many of which are on the list below. The focus is on being outside, sportsmanship, getting energy out, and enjoying our teammates while we learn a fun sport. However, I am lucky to live in a very crunchy neighborhood. I see from the sidelines what other teams bring as snacks, and I also see some of the other parents cringing inside with a plastered on smile and a ‘oh wow! Look at those cupcakes!’ at the game that ends right before lunchtime. And I’m teaching them that there are some things that are sold in grocery stores that cause cancer, are addictive, and are contributing to the rise in childhood-onset type II diabetes, obesity, and lifelong chronic health problems for everyone. I’m even teaching them that different families have different priorities, and it’s important not to act like we are doing anything better than anyone else. This gets a little confusing for everyone involved when children are handed bright sugary treats right and left, especially at something that is supposed to be a healthy activity. Those who want to limit it to a special occasion because their children’s health are affected by it struggle with junk food being so much a part of the weekend soccer culture. And it’s hard to keep my kids from feeling bad when I have carrot sticks and I’m not letting them eat the cupcake that you just handed them. But my kids just can’t handle it. Presumably, we are going to be in the car for 20 minutes tops before we’re home and getting our small athlete lunch. Through effective marketing, we may be conditioned to think that any amount of exertion needs immediate ‘replenishment’ through gels, sports drinks, and energy bars. Kids play. They play hard, it’s part of childhood. Unless they have an outside health condition, they most likely will be okay with plain water, and filling up on needed nutrients at their next meal. They certainly will be okay without the food dye. We don’t want our kids to be afraid of exertion. We want them to enjoy play- sweaty, dirty, hard play – without their next thought being about food. Want the electrolytes without the corn syrup or food dye? Check out this natural gatorade recipe! Or we want to treat our children as mature adults. Dad gets a Gatorade after his 20-mile Saturday morning bike ride, so we want to show our 8-year-old that he is ‘just like dad’. This is a choice that you will make for your family, and whatever you do I support. I just ask that you please don’t force me to have to be the bad guy every weekend over it. Grapes, berries, or apple slices. Know what’s cooler than providing junky food at soccer games? Watching kids go nuts over cucumbers, clementines, and apples. You’re doing a good job, mama. Your kids haven’t seen nearly the amount of commercials for processed food that you have, and they don’t have the decades of baggage surrounding processed food that you have. Kids will be kids, and I think you’ll be surprised how often ‘Oh I LOVE snap peas!’ comes out of their mouth as they show off a bit by shoving a handful in their mouth. On a similar topic, I’m not doing this for attention. Or to be different. Or because I’m bored. My children can’t handle junk food. It would be easier for me to go with the flow and let them eat it, but for whatever reason they can’t and I get tired of being the bad guy. 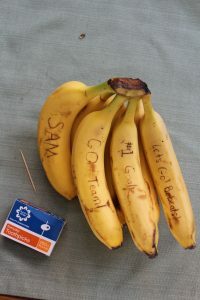 Quick personalized bananas: Score the skin with a toothpick and the scratched part will turn brown! Use your teammates’ names, team name, or anything you wish. I’m not asking for anything that costs anything more than you are already spending. Our children will be okay after running around for 45 minutes without immediate sources of sugar. I’m just asking for people involved in the activities designed for healthy fun habits to PLEASE stop handing children junk food. How about we just enjoy the game? 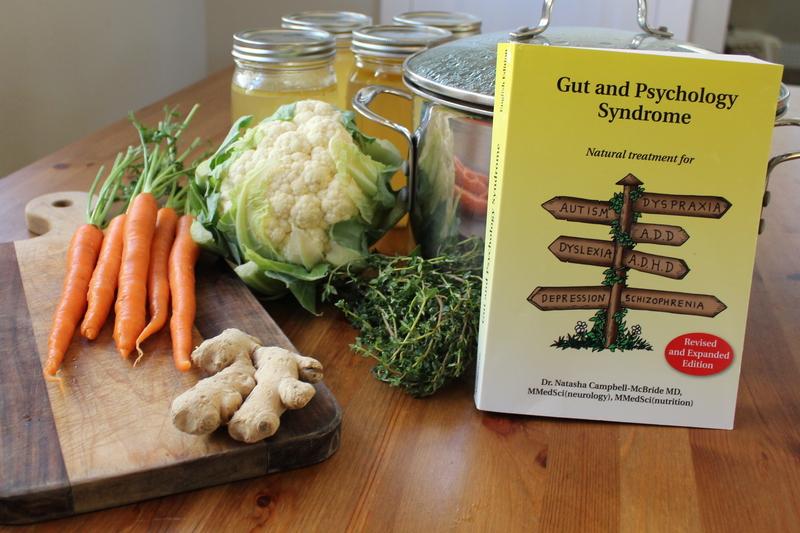 Next Post: I want to do the GAPS Diet, where do I start? I totally agree! Kids will make it home to get a snack from home or a meal if it’s that time. We are teaching our kids that a little hunger has to be satisfied NOW. My son plays basketball and usually there isn’t a snack sign up. One season a mom sent out a sign up list for snacks. I was so surprised (and annoyed). I had a convenient excuse because my son has a strange allergy. So glad I got out of it. : ) I feel like kids get mixed messages: make sure you eat healthy, but here’s a (sugar-filled) stack; or worse yet literally candy as a reward. If candy is a reward, what are vegetables? Punishment? Exactly! I think much of it comes from parents growing up with food advertising- we all grew up with thousands of subtle messages that colored sugar is ‘fun’ and what people really want. Thanks Cara, I’m sharing this for sure. Thanks, Cara, for the great post. We struggle with the same issues, and you just verbalized what we think. I’m keeping your list of suggestions as our boys begin their first season of soccer at school. It’s such a struggle when we see so much sugar handed out freely, and we are trying to teach our children to make healthy choices. It’s hard to compete with the neon-frosted cupcakes! However, my children have the reactions that are difficult to deal with and show that their little bodies just can’t handle the junk food. I’m so thankful for your encouragement and ideas! Cara this is the best thing I’ve read in a long time! And I guarantee there are more moms that want this to be the “norm” than we sometimes think. We more moms to step out and be the change! You sure do have a better attitude about it than I do, Cara! It has been so difficult for so many years, wherever we go – Bible studies, church activities, school activities – there’s always something being served. We always have to bring our own food, and there have been times that I either forget to bring something (because I have way too many responsibilities in addition to being my own caterer), or times when treats were unexpectedly being served at a function when they didn’t need to be. It’s just been miserable. My plan of attack is to teach others in those realms as best as I can…. It’s hard, and I don’t always have a good attitude. I try to write under ‘allergies’ that are on most forms to not give my kids sugar and/or food dyes, and yes, we have quit activities before because the ‘treats’ were just crazy and I couldn’t compete. Love these! I am totally “that mom” who always writes a team email to the other parents about keeping the snacks in check. One baseball team we were on had parents bringing a full bag of Doritos and a Gatorade for each kid after the game (after each kid swung the bat 3x, ran the bases a couple times, and caught a few balls) — it was out of control! The best team my son was on (luckily for 3 consecutive years) we all agreed to do orange slices for halftime. It was easy, healthy, and the kids knew exactly what they were getting every week so it was never an issue.